Landscapes for an apartment building in the Sugar Hill section of Harlem fully exploit every inch of available open space. 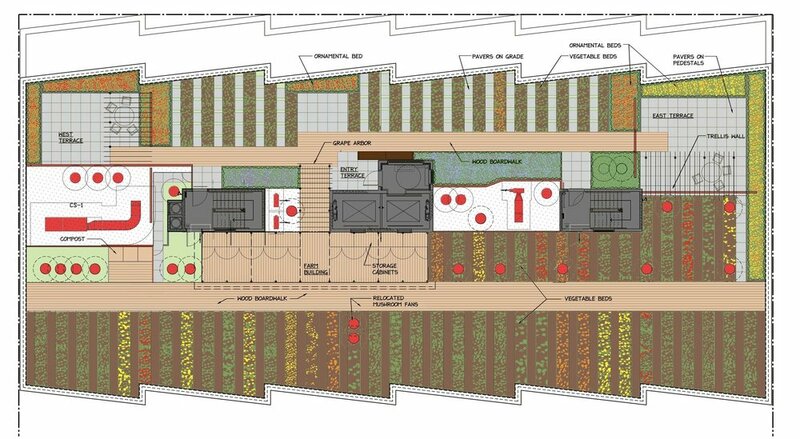 They include a plaza and courtyard at the street level, roof terraces at the third and ninth floors and a roof terrace and farm on the building roof. The new building, designed by architect David Adjaye, includes low income housing, a daycare center and a Harlem Children’s museum. The plaza design is kept low and minimal. The ground surface separates into steps that transition the street slope to the new level plaza and planting beds define the plaza as separate from the adjacent public sidewalks. The long view through building courtyards is accentuated by long benches that transform into planters. 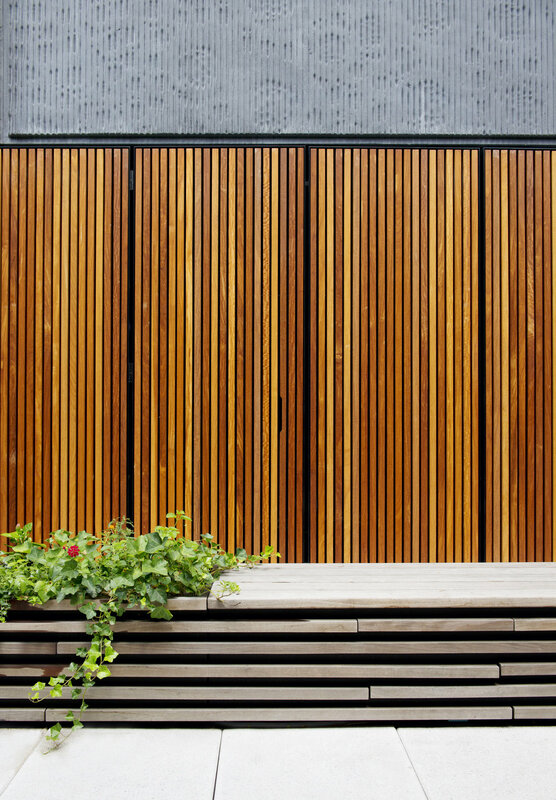 A metal screen separates a courtyard serving the museum from the remainder of the courtyard which is used by the daycare center. Long planters provide welcome greenery to the long narrow terraces at the Third and Ninth Floors. These spaces are accessible to the building occupants with the Ninth Floor Terrace serving the adjacent to administrative offices. A long perennial bed stretches out along the office wall in a dramatic flowering band. A primary aim of this project is to provide support and amenities for the surrounding community and in this spirit the building roof is the site for a planned demonstration roof farm. Common resident terraces occupy the northern corners of the roof and then the remainder of the available area is given over to a working farm.